Simple Acquisitions is a real estate syndication company that partner with private investors to buy multi-family properties in exchange for an equity share. Now, before we go any further I’m not for a second insinuating that real estate professionals are animals. 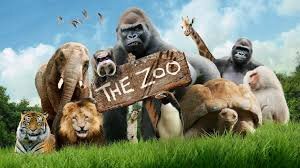 I’m just having some fun with the “who is who in the zoo” idiom. 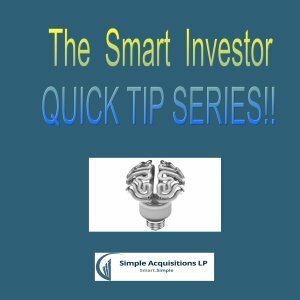 Welcome to another segment of our Smart Investor Real Estate Quick tip series. Many people know real estate is an amazing investment vehicle but don’t know all the in and outs or all the benefits it can provide to investors. So hopefully this quick tip series will answer some of those questions. We all want to be a smart investor, and that starts with education! Simply put, real estate syndication is an effective way for investors to pool their financial and intellectual resources together to invest in properties that are typically much bigger than they could afford or manage on their own. A real estate syndication is common with multi-family properties. There are many people involved in a real estate transaction that included brokers, attorneys, title insurance companies, property management companies, and so on and so on. In this article however we are going to focus on the typical syndication players. If investors want to purchase $5,000,000 property, then they need to have at least that amount in net worth for many lender to consider them a suitable borrower for the asset. Not every investment company has that kind of net worth, especially if they are just starting out with a new program. So including a sponsor on your team who does, shows the lender there is enough net worth, experience & credibility to be able to, not only close on the property, but to also manage it, even when times get rough. If the General Partners have sufficient credentials, then a sponsor may not be needed. Having one in your back pocket is always a smart idea. It will mean you lose some profit to your sponsor, but if the deal makes sense, it’s a win win for everyone. The general partners typically initiate the real estate syndication. They are at the forefront of the entire process from finding strategic markets, identifying properties, underwriting the property, establishing financing, creating the business plan, formulating exit strategies and organizing all the local players such as property managers, contractors, attorneys. etc., and all the other elements to put the deal in place. Marc and I are general partners for our deals. We do all the work, so our investors don’t have to. The limited partner, also known as a passive investor, is an individual or group of people that provides the equity to fund the deal. They are passive investors. The limited partners role is a simple one. It’s a big reason why so many people find investing in a real estate syndication attractive. They invest their money in a real estate project, and they earn an equity share of the property’s profits. As the property makes more money, they make more money. With Simple Acquisitions we also share the appreciation and depreciation with our investors. We don’t offer just a fixed return. So that’s a quick overview of the three main real estate syndication players. Want to know more about how you can get involved in a real estate syndication? Drop us a line! 1-866-606-6841 or email us at info@simpleacquisitions.com.